I started my theatre company eighteen years ago with the bold notion that we were going to change the way people feel about going to the theatre. I felt that theatre was rather exclusive and inward-looking, elitist and rather cold. I wanted to make theatre that appealed to my family and friends back home in Wales, that felt like a party or a school reunion. That brought people together. Years later I still think the theatre has a long way to go and it continues to wind me up. Most people feel awkward and uncomfortable in the theatre, that they’re going to ‘not understand’ and they’re going to be made to feel stupid. That it’s not for them. 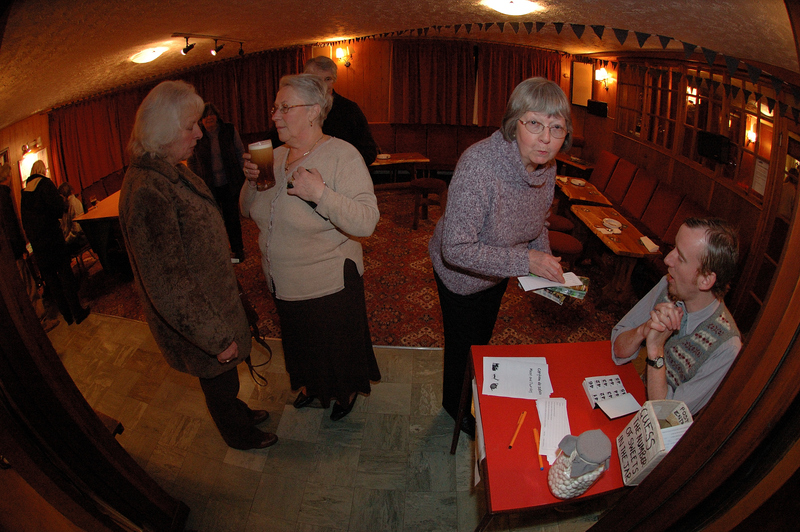 My theatre company developed our on-the-level relationship with the audience by doing village hall touring. Touring this circuit had helped us define who we are and why we make theatre. Village hall audiences have always surprised us. They taught us how to improvise. We’ve now gone on to learn to improvise a whole story in one night, all because of the buzz we’ve got from the honest and direct relationship we’ve discovered with our audiences on the rural circuit. The Salvo’s broke some new ground on rural touring by taking work beyond the suitcase-size transit van scale show. We toured a site-specific show Pub Rock to rural pubs. Logistically it was challenging, but the the experiences we had on this tour are some of the most compelling one’s we’ve had in terms of connecting with real people. I joined the board of the National Rural Touring Forum because I love this circuit and also because I want to shake it up a bit. Sometimes the work presented is below-par and offering meaningful programming inspiration to promoters in isolated communities can be problematic. So some things need to be changed. Currently NRTF are working with former Salvo producer Ed Collier, along with China Plate colleague Paul Warwick to bring more radical and exciting theatre work to village hall schemes and promoters, this summer New Directions will in partnership with York Theatre Royal.